"Motorola's Webtop app helps users extend their smartphone experience to larger screens. While consumers around the world have adopted Webtop and the concept spurred a lot of innovation in the industry, the adoption has not been strong enough to justify continued resources being allocated to developing Webtop on future devices. We have also seen development of the Android operating system focus on the inclusion of more desktoplike features. Beginning with Photon Q and Droid Razr M/Droid Razr HD/Droid Razr Maxx HD, we will no longer be including Webtop on our products moving forward." This probably doesn't come as a surprise to many of us who have either completely forgotten that webtop existed or saw with the high prices and anemic sales that the future wasn't bright for the product. Most importantly, this really symbolizes the end of an era for Motorola. Webtop may have been one of the biggest things left that symbolized the Motorola of the past. As if Google and Motorola's statements prior to its latest device launches weren't clear enough, it seems as though we're looking at a "new Motorola" going forward. When HP announced that webOS would become an open-source platform, the company stated that it would be an "active participant and investor in the project," and it looks to be keeping its word. The Powerbase has found more than 50 job postings at HP looking for developers in Sunnyvale, California and Shanghai to work on webOS and Enyo, the operating system's HTML5-based application framework. The positions range from internships to both senior designers and engineers. With Open webOS finally reaching version 1.0 and even making an appearance on a Samsung Galaxy Nexus development of the operating system seems to be moving in the right direction. It's important to note, however, that many members of the original Enyo team left earlier this year to work for Google, so the company may just be looking to fill the gaps that resulted from the departure. At this point, the future is still unclear for webOS, but it's obvious that HP hasn't given up on the operating system despite its history of uncertainties. Personally I'd like to see Jason Robitaille @Jaycanuck apply and be accepted. I have followed this guy since I first fell in love with webOS in 2009. This guy is one of the most amazing Homebrew developers I have ever followed. MetroPCS officially accepted T-Mobile’s offer to merge, Sprint may attempt to counter T-Mobile’s offer with a more appealing one, according to a report from Business Week. The company is said to be crunching numbers and holding talks with its advisors to evaluate the price of MetroPCS. The nation’s third-largest carrier nearly purchased MetroPCS earlier this year before Sprint’s board vetoed the offer. The carrier reportedly began reevaluating an offer a few weeks ago, prior to T- Mobile’s deal being made public, and could have a decision as early as next week. The breakup fee could potentially hinder a counter offer from Sprint, however. If T-Mobile pulls away from the deal it must pay MetroPCS $250 million, and if MetroPCS backs out it will pay T-Mobile $150 million. T-Mobile is said to be ready for Sprint’s counter bid and is willing to offer better terms if necessary. T-Mobile this morning announced that it's merging with MetroPCS in a $1.5 billion deal. The two companies will unite under the T-Mobile name, with current T-Mobile parent company Deutsche Telekom to keep a 74 percent stake. The rest goes to MetroPCS shareholders, who also get the cash. MetroPCS already has LTE up and running, a technology sorely lacking from T-Mobile's current U.S. offerings, so we'd expect that's part of the impetus behind all this. But it'll take a little time to get all that worked out. MetroPCS, one of the top bargain wireless carriers in the United States, may soon be acquired by T-Mobile parent company Deutsche Telekom. StreetInsider on Tuesday posted a message on its Twitter account saying that the German telecom company was “said to be near deal with MetroPCS Communications on T-Mobile,” implying that MetroPCS and T-Mobile could soon merge to create a large wireless carrier more capable of competing with rivals Verizon (VZ), AT&T (T) and Sprint (S). WebOS seems to be a mobile operating system on life support, it’s no surprise there is still some interest. It is a very good operating system, and had Palm and HP not dropped the ball on the Pre series and the TouchPad respectively it could have seriously challenged the market as a premier operating system. Despite all that, developers are still making it accessible through Open WebOS, a development effort that will keep the operating system ticking on modern devices. The only problem with WebOS in general is still its lack of developer support, and with a very limited userbase to target that problem won’t be eradicated anytime soon. 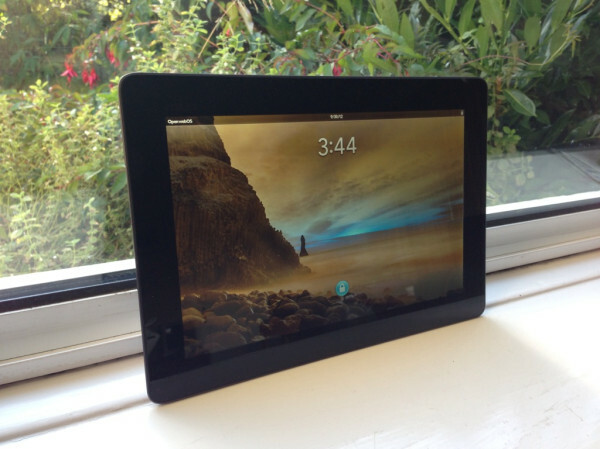 A new device is being supported as the ASUS Transformer Prime has gotten its very own port of Open WebOS. As exciting a development as it is we have to let that excitement die down for just a bit. The port is not yet ready for consumption by the general public, and to avoid being blamed for WW3 Steven Troughton, the main developer responsible for the port, will not release it at this time. It’s coming, though, and you should do yourself a favor by following this Twitter account for news on its arrival.